The Black Activist Writers Guild expresses enormous gratitude to, among others, Intrepid Report, The San Francisco Bayview - National Black Newspaper, It's About Time, The Black Commentator, and Black Agenda Report for unflinching service in spreading, highlighting, and connecting the concerns of Black people worldwide. 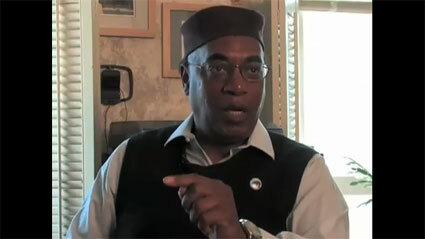 Additionally, the Black Activist Writers Guild expresses appreciation to Scott Noble/Metanoia Films. FBI Hunting the Dead: Can John Bowman Ever Rest in Peace? Ambrose I. Lane, Sr. (1935-2010), WPFW radio (Washington, DC) on March 28, 2007 reads from the Black Commentator article 'American Democracy: A Legacy of Hypocrisy and Deceit' by Larry Pinkney. Barack Obama: Trojan Horse and a Great White Hope? The song Soldier, We Love You, composed and sung by Rita Martinson, is in the 1972 documentary, FTA, and no longer available on YouTube. If your local library does not have the DVD, Netflix and iTunes do. One can also purchase the DVD FTA on the New Video Group and Sir! No Sir! websites. Cover Story: And What of the Black Underclass? George W. Bush: The Good Old Days? Rwanda's Untold Story: Who Was Behind the Genocide?